How did the ugly Christmas sweater tradition start? I”ll confess, the first time I heard “ugly Christmas sweater,” it just looked like a Christmas sweater. The kind I saw everyone wearing when I was growing up. I mean, my mom has a ton of them. I guess I’m saying, I didn’t know they were ugly, because I don’t know what an attractive Christmas sweater would look like! 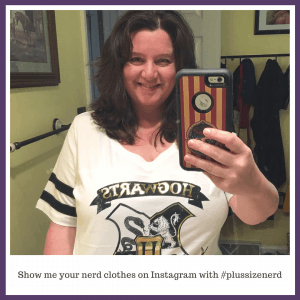 Now we can combine two other characteristics with the ugly sweater tradition: Plus size and nerd. 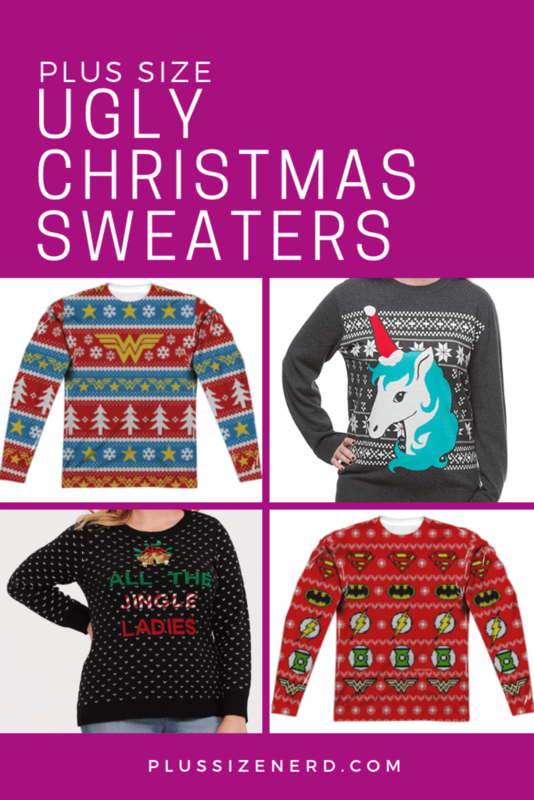 These plus size ugly Christmas sweaters have a bunch of nerdy logos and designs. And most of them aren’t sweaters. Most of them are t-shirts or sweatshirts that look like sweaters. I think that’s a relief because sweaters are hot and itchy. But! 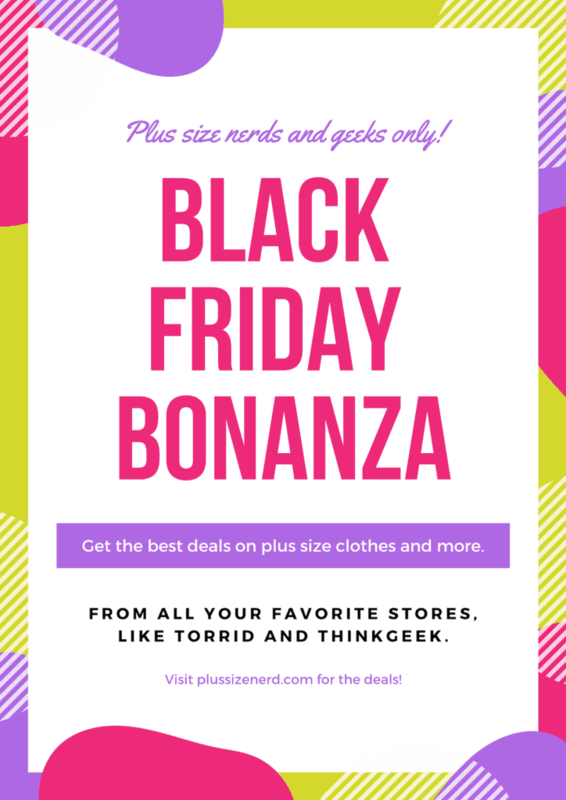 Torrid has one that is actually a sweater. 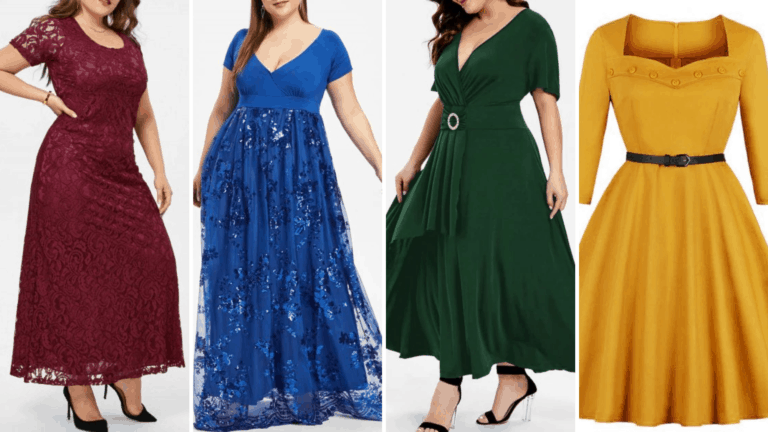 If you’re looking for something more conventional, DressLily has a whole slew of plus size ugly Christmas sweaters. 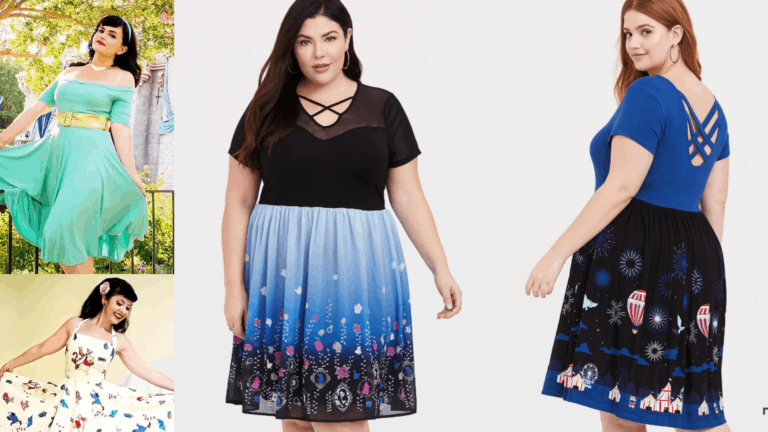 Look for the words “plus size” in the names of the sweaters. They’ve got snowmen, Santas, reindeer, Christmas trees and other traditional holiday designs. 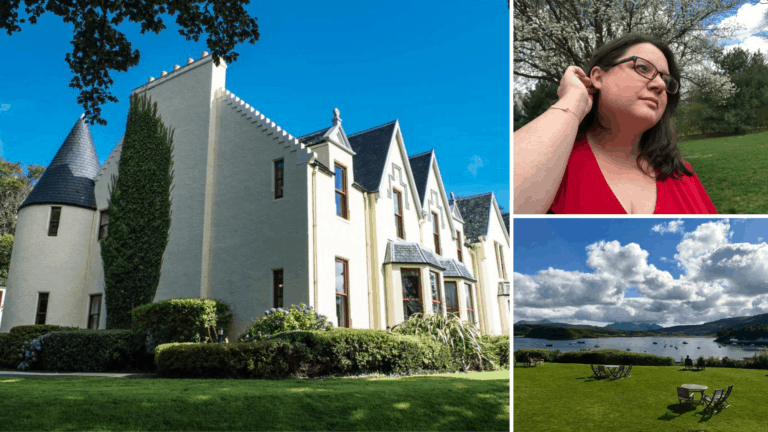 Full disclosure: This blog post contains affiliate links. That means I earn a small commission when you make a purchase using one of these links, at no extra cost to you. Thanks for your support! 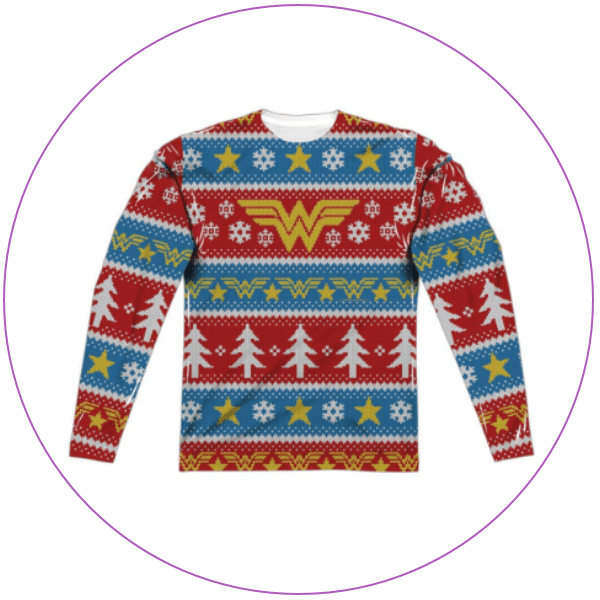 Wonder Woman Ugly Christmas Sweater Shirt – Aw, yeah! 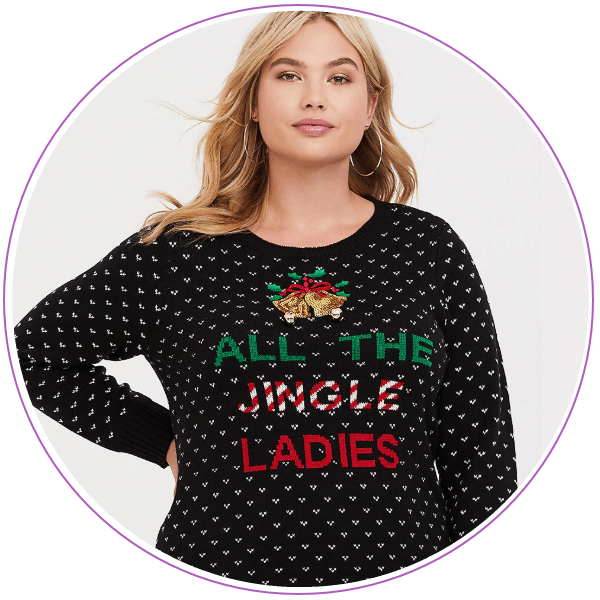 Look strong this Christmas wearing a plus size ugly Christmas sweater that’s actually a plus size, long-sleeved t-shirt. 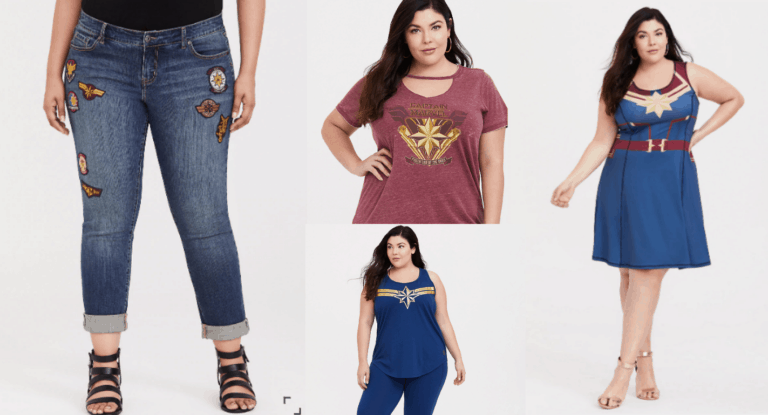 Wonder Woman’s symbols are all over this awesome shirt from Warner Bros. Shop. Goes up to XXXL. 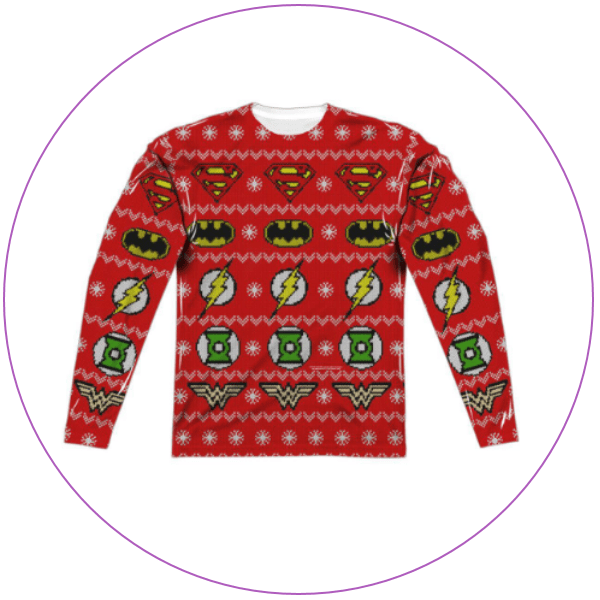 Justice League Ugly Christmas Sweater Shirt – This plus size ugly sweater (which is really a t-shirt) from Warner Bros. Shop has the symbols of the comics-version of the Justice League. For the most part, anyway. No Aquaman, but there is Green Lantern. (We can only hope he’ll join the movie universe at some point.) 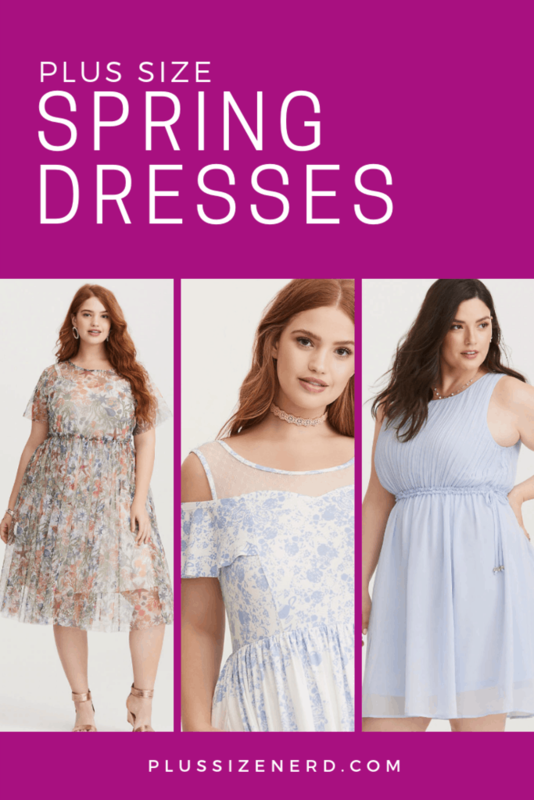 Goes up to XXXL. 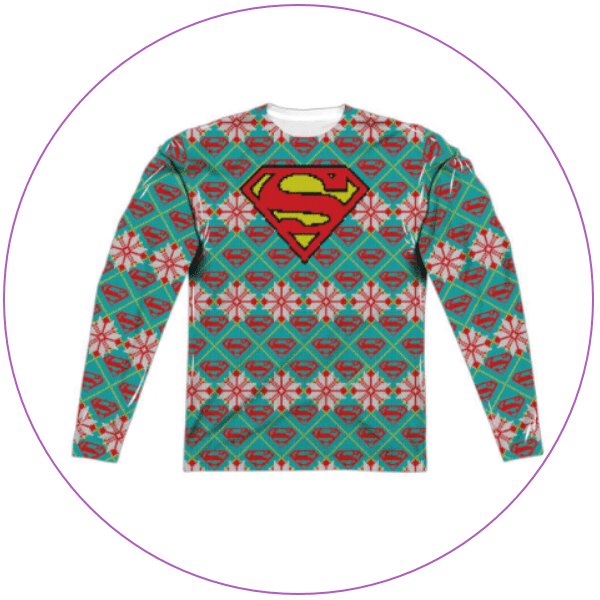 Superman Ugly Christmas Sweater Shirt – This is billed as a Superman plus size ugly Christmas sweater (again, long-sleeved t-shirt) from Warner Bros. Shop, but you could say it was for Supergirl instead. Goes up to XXXL. 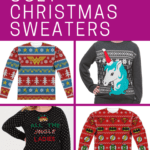 Festive Unicorn Holiday Ladies’ Sweater – For fantasy and unicorn fans! 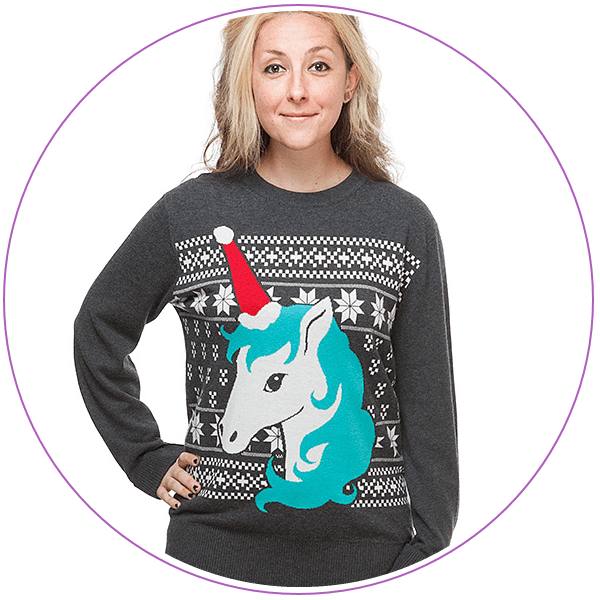 This festive unicorn on a plus size ugly Christmas sweater (that’s really a sweatshirt) from ThinkGeek has a Santa hat for a horn. All cotton. Goes up to 3XL. 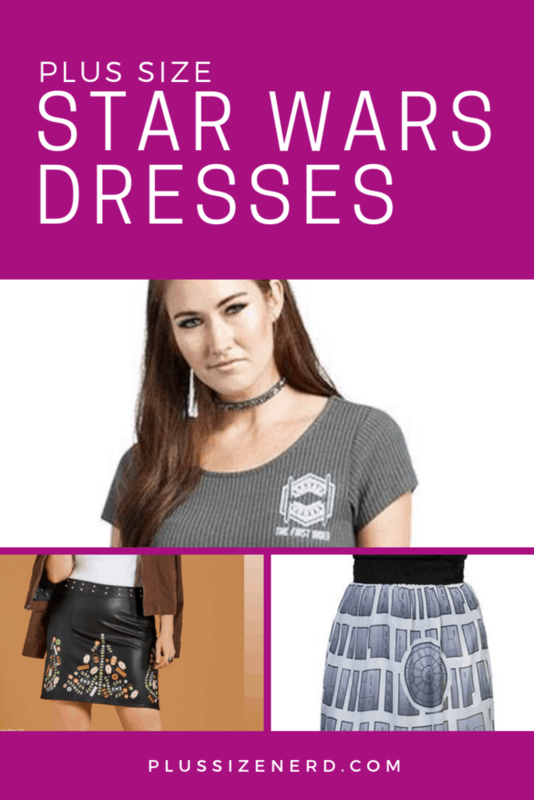 Star Wars BB-8 Sleigh Bells Holiday Sweater – This sweatshirt is disguised as an ugly Christmas sweater from ThinkGeek that features BB-8 and an Empire droid as Christmas ornaments. 100% cotton. Goes up to 2XL. 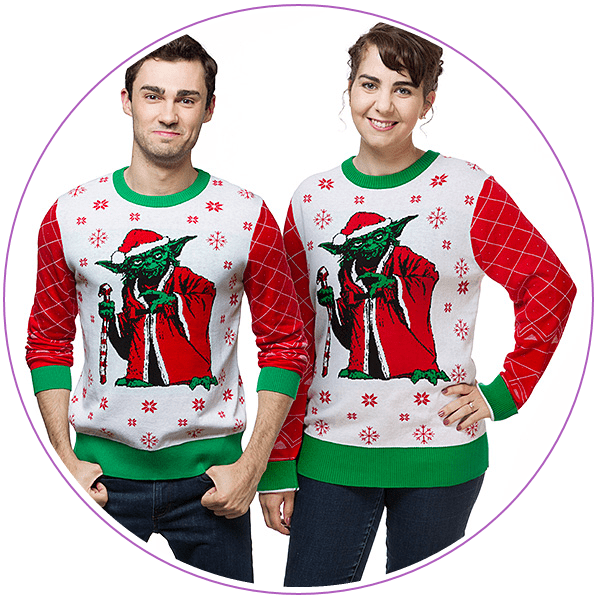 Star Wars Yoda Holiday Sweater – Yoda looks more like the Grinch than Santa Claus on this plus size ugly Christmas sweater (sweatshirt) from ThinkGeek. Goes up to 2X and is all cotton. Firefly Plus Size Ugly Christmas Sweater – 狒狒的屁眼 (Pronounced FAY-FAY duh PEE-yen,) I’m still upset FOX canceled Firefly back in 2002. Browncoats! 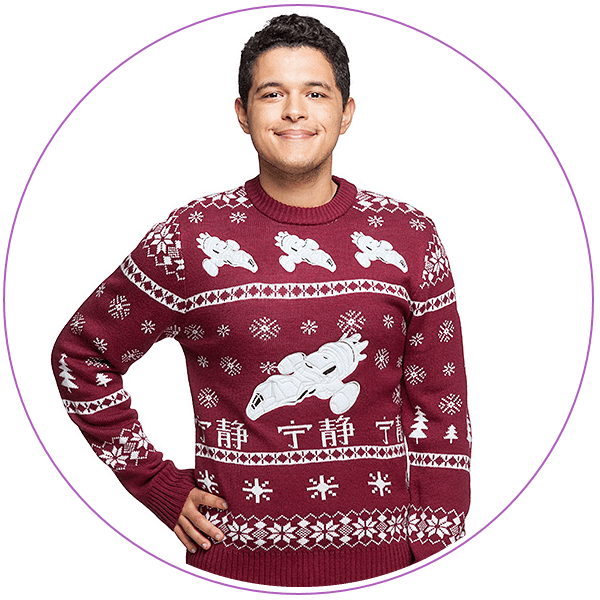 Rep’ the show proudly in this plus size ugly Christmas sweater from ThinkGeek, complete with a Firefly class spaceship and Chinese lettering. Goes up to 3XL. 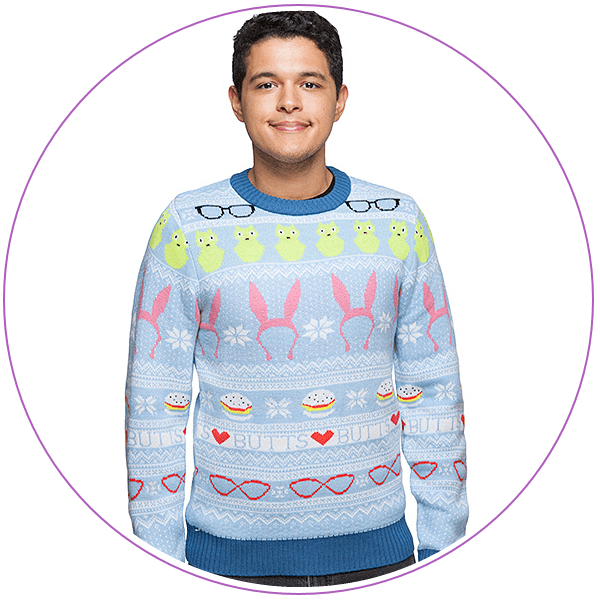 Bob’s Burgers Holiday Sweater – I love this ugly Christmas sweater (sweatshirt) from ThinkGeek because each of the Belcher family members is rep’d. Glasses for Tina and Linda; ears for Louise; “BUTTS” for Tina; burgers for Bob and/or Gene; and Kuchi Kopi for Bob or Louise. 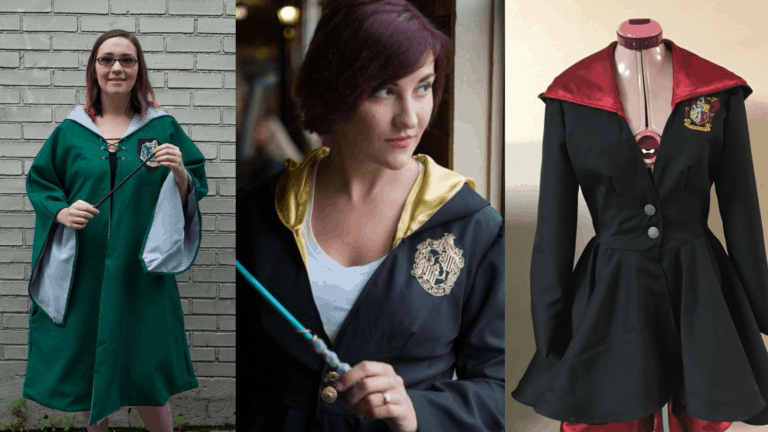 Goes up to 3XL. The Legend of Zelda Holiday Sweater – Hey, gamers! This is a super cute sweatshirt from ThinkGeek that looks like a Legend of Zelda plus size ugly Christmas sweater. It has items, a Triforce piece and the ever-popular Link. Goes up to 3XL. 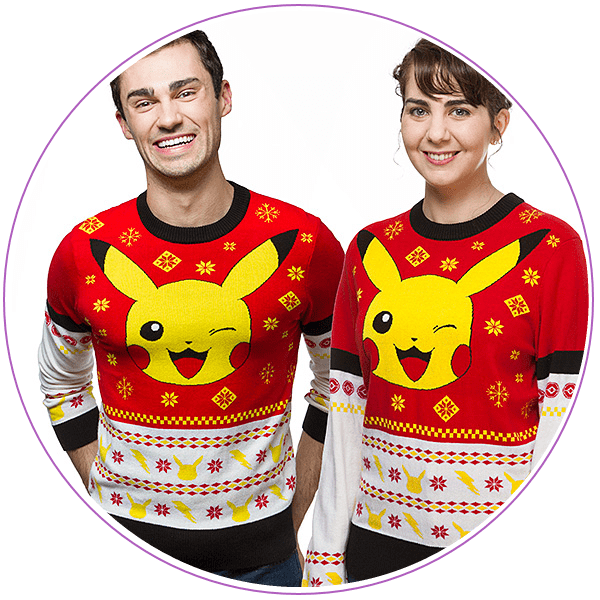 Super Mario Bros. Holiday Sweater – Mario is hopping away on this plus size ugly Christmas sweater (sweatshirt) from ThinkGeek. I see Mario, Wario and Toad. (Poor Toad. We’ll never look at him the same, will we?) Goes up to 3XL. Space Invaders Holiday Sweater – If you’re old-school, like you, you well remember trying to defeat this little guys coming down from the skies. They got so fast! 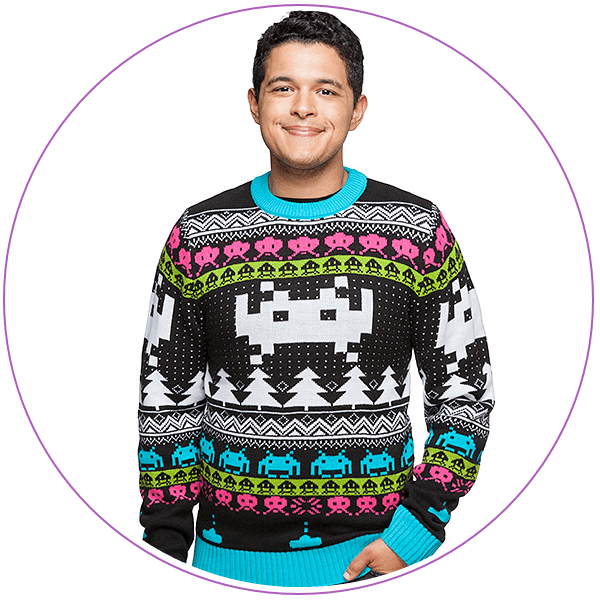 Remember the old days with this Space Invaders plus size ugly Christmas sweater (sweatshirt) from ThinkGeek. Goes up to 2XL. 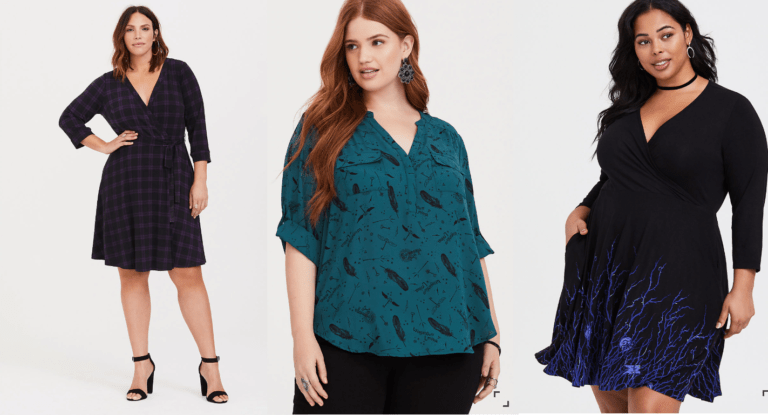 All the Jingle Ladies Sweater – Torrid doesn’t really have any plus size ugly Christmas sweaters because, you know, their stuff is just gorgeous in general. They have a large selection of Christmas sweaters, but this is the ugliest one you’ll find. And it’s such a cute play on words! Goes up to their size 6. 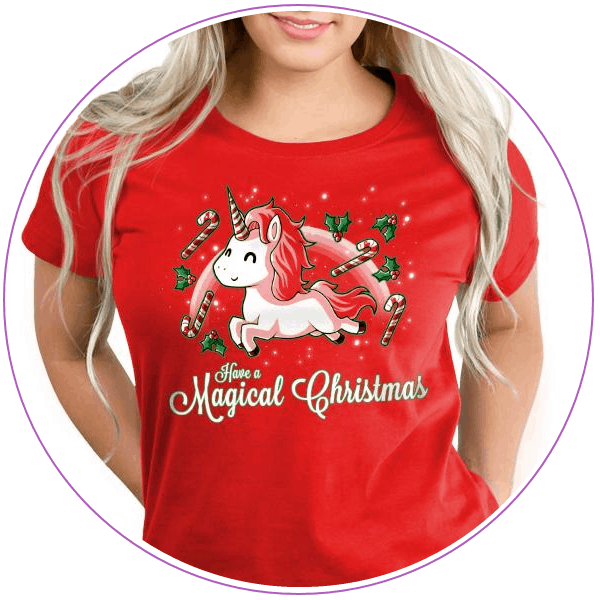 Have a Magical Christmas T-shirt – If you live in a warmer climate, you might be interested in a plus size Christmas t-shirt. TeeTurtle has a really cute one (of course). A Christmas unicorn! 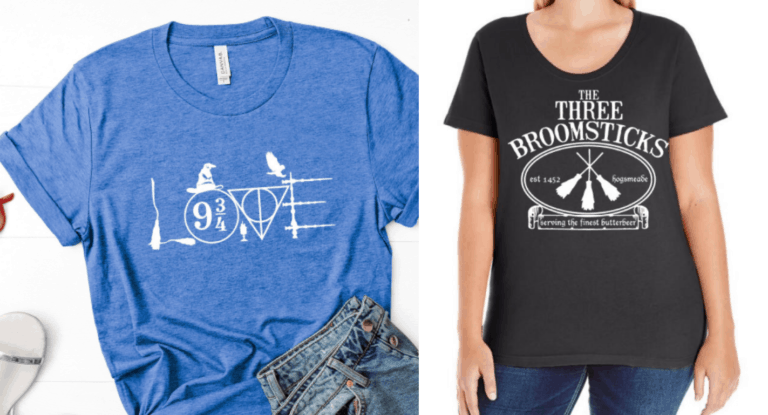 Goes up to 2XL, but they’re selling out fast. Meowy Christmas Socks – Looking for socks to match your new plus size ugly Christmas sweater? 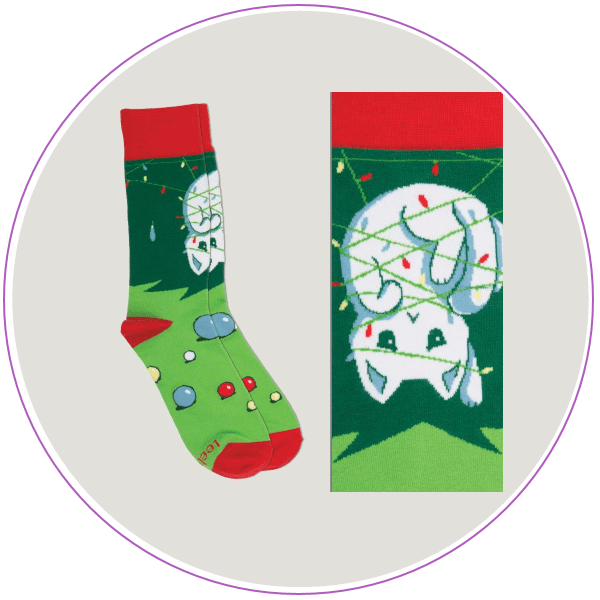 These adorable Christmas kitty socks from TeeTurtle are just right. Tell me your favorite ugly Christmas sweater story in the comments below!